One of 4word’s passion areas is mentoring. It’s one of the great ways we support women in the workplace as they seek to honor God, honor their families, and excel in the place where God has called them to work. We don’t often talk about the spiritual and Biblical aspects of these relationships, though. You see, mentoring others isn’t simply an option to help other women in their careers. It is actually a Biblical mandate. We have instructions for building these relationships straight from God’s word. The second reason we should actively seek to mentor others is for their freedom. In Galatians 5:1, we learn “It is for freedom that Christ has set us free!” Many of us put ourselves under burdens that God doesn’t mean for us to be under, like obsessing about our weight or trying to meet someone’s definition of perfection. Some of us hold on to offenses, refusing to forgive. Jesus says “For my yoke is easy and my burden is light.” We are supposed to remind each other that we don’t have to remain in the heavy places. Living a life surrendered to God means we are free to hope, forgive, and love. As a mentor, you will have a lasting impact on your mentee as you help her find freedom in discerning what is truly important, setting reasonable goals, and striving to be the woman God called her to be. The ripple effects of your guidance will be immeasurable. In spiritual mentoring, we should teach others to follow the pattern God gives us in the Bible. “Join with others in following my example, and take note of those who live according to the pattern we gave you,” (Philippians 3:17). The pattern involves loving God, loving others, respecting our husbands, training our children, avoiding sin traps, worshipping regularly, and much more. When we are walking the walk, others will follow! What should mentees expect from their spiritual mentors? 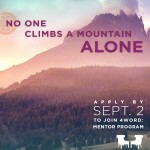 Do you feel called to be a mentor? Are you looking for a mentor? 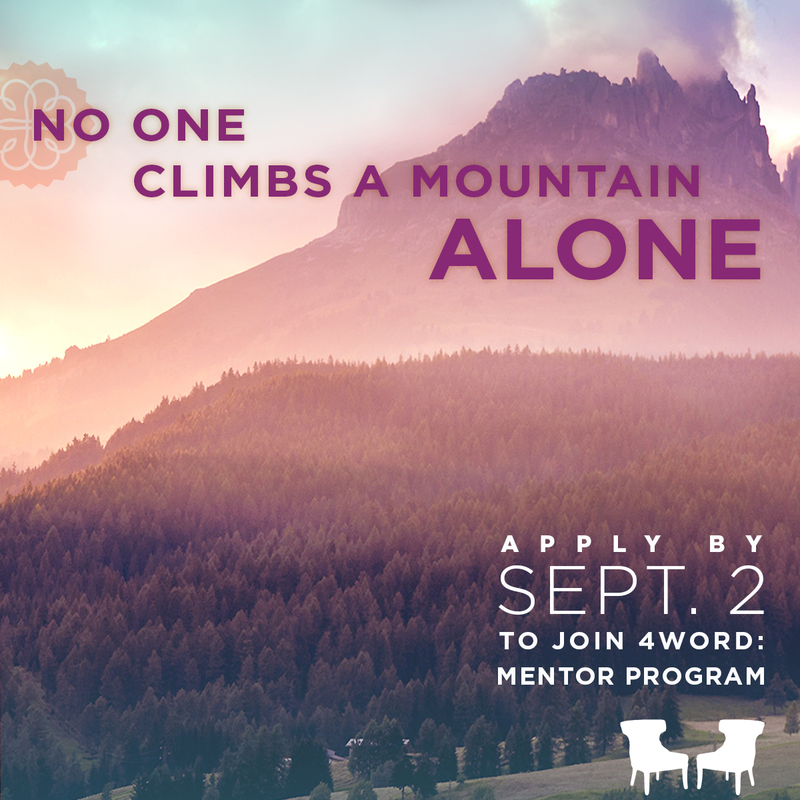 The 4word Mentor Program is currently accepting applications for the upcoming fall session. Visit the Mentor Program website today and submit your online application by September 2, 2016! Lori– this was a wonderful reminder about the spiritual obligation in mentoring. This is, in fact, what makes 4WORD mentoring different– and so valuable– from the coaching and mentoring that is more available in the secular marketplace.